Pancake day is almost here and we are very excited as we love PANCAKES! From sweet to savoury this pancake recipe is perfect, and it’s super easy! 2) Add the milk gradually and keep mixing until the consistency it’s like thick single cream. 3) Heat a pan on medium heat and add a little oil (only enough so the pancake doesn’t stick). 4) Using a ladle gently pour the batter into the pan and roll the pan around so the batter covers all of it. 5) Leave the pancake until the bottom turns a golden colour underneath (this should only take 30-40sec). 6) Using a spatula, flip the pancake over so the top is now at the bottom cooking. 7) Once cooked, slide the pancake on to a warm plate (to prevent it from going cold) and repeat the process stacking the pancakes on the plate. 8) Add toppings of your choice! here are some ideas – Sugar (1kg 69p), Strawberry Jam (jar of jam 99p), chocolate spread and even lemon (Lemon Juice 49p). 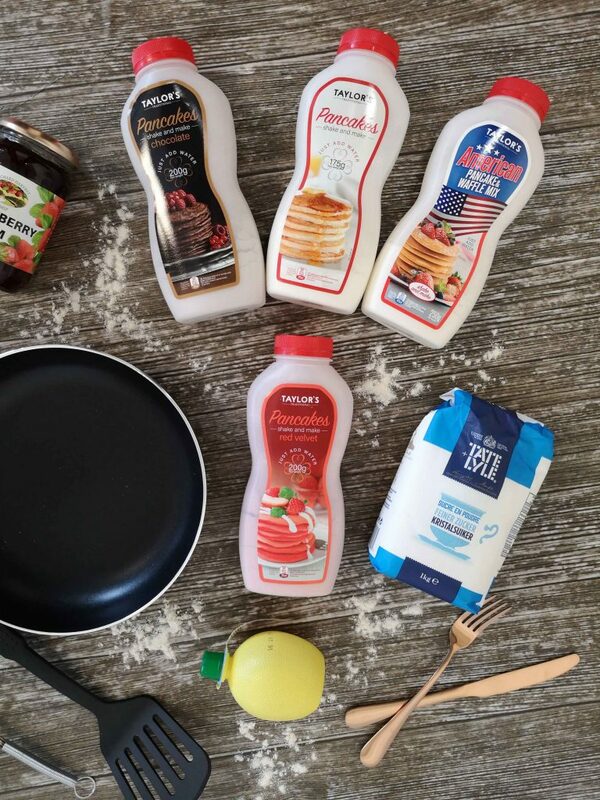 If you like to idea of having pancakes but not the idea of having to make the batter then we have a great range of pancakes mixes available where you just add water to the mix and then they are ready to cook! they also come in different flavours such as Red Velvet and Chocolate, we even have one that will make American pancakes! 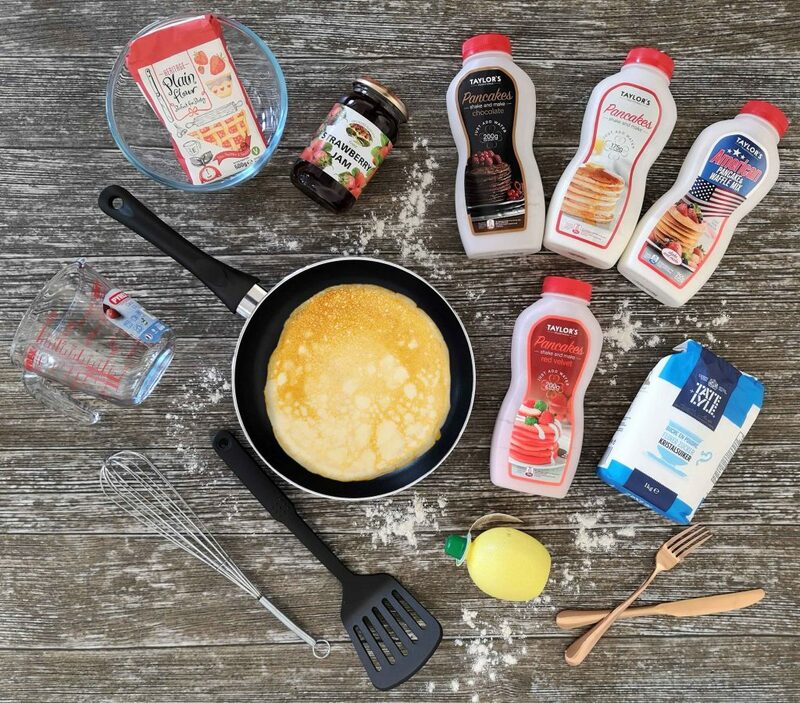 We want to see your perfect pancakes so share your photos with us on Facebook, Instagram and Twitter!